Soo we all know I love skincare. Ever since I turned 25 in March, I have become an anti-aging JUNKIE. 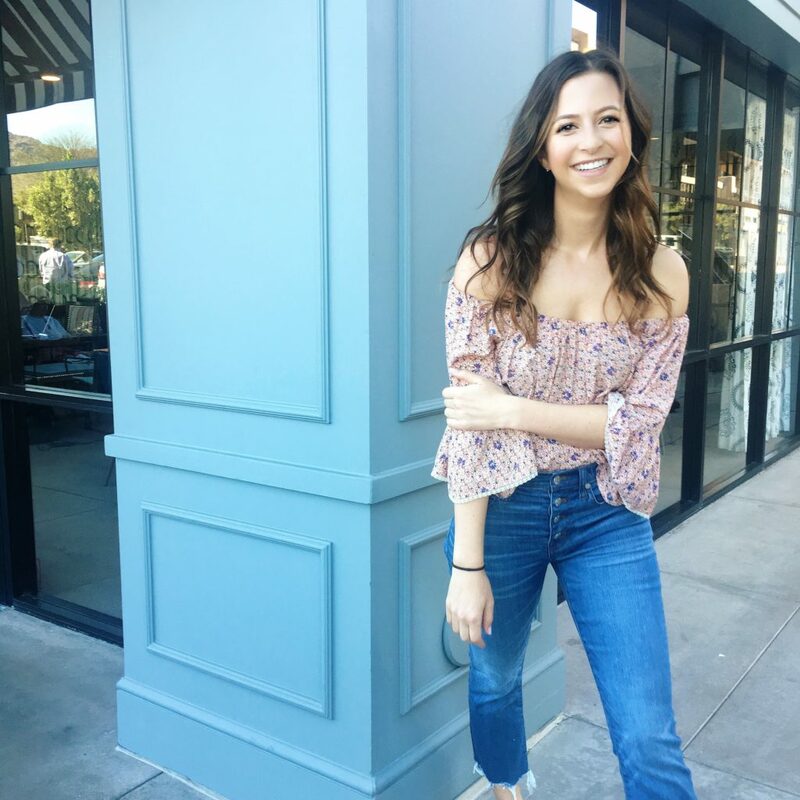 I do anything and everything I can to prevent any signs of aging or wrinkles (yep, read my post on getting Dysport at 24 here). 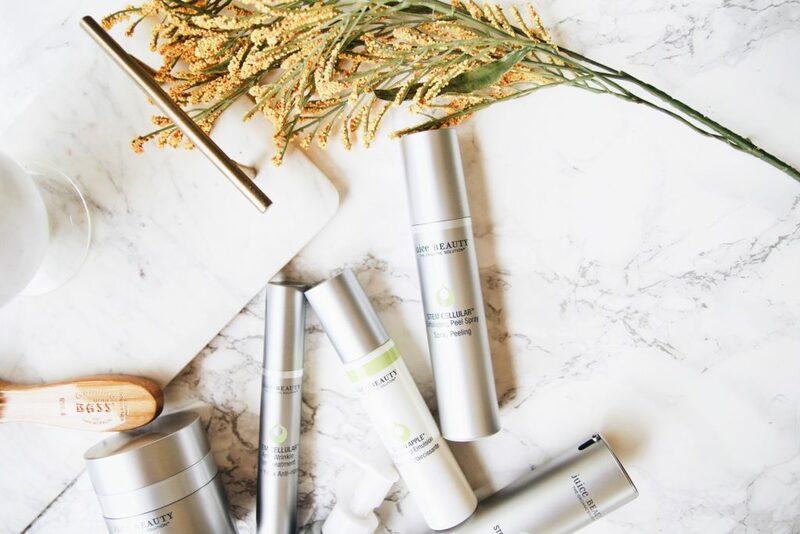 Shortly before my birthday, Juice Beauty, which offers “organic skin care and organic beauty products that are clinically validated to show transformative results” reached out about offering some product. UH, perfect timing. I obviously said yes and picked out their Anti-Wrinkle line and a few products their Brightening line. The rest is history lol. Why Am I Obsessed With Juice Beauty? First off, it’s made with a minimum of 70% certified organic ingredients. Very few beauty brands these days can claim this. There are so many synthetic or harsh chemicals used in today’s products (especially in anti-aging ones) that can cause health issues down the road. 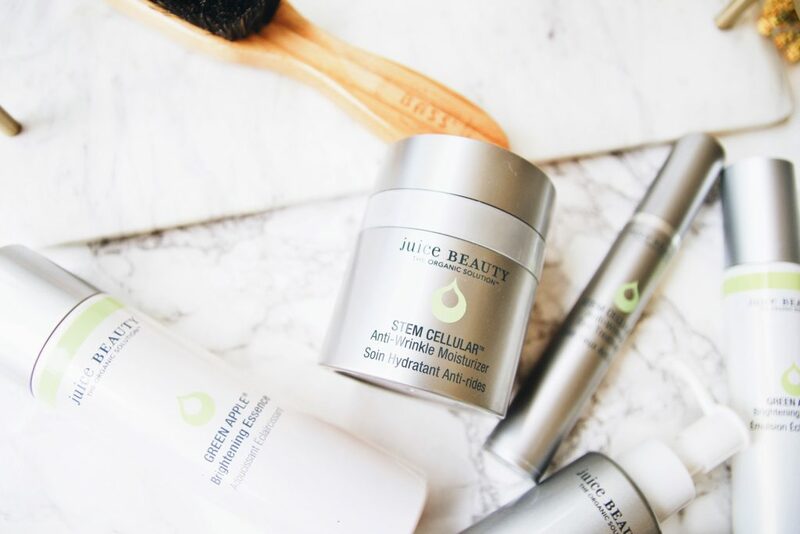 Juice Beauty‘s products are formulated without parabens, petroleum, propylene or butylene glycol, sodium lauryl sulfates, pesticides, phthalates, artificial dyes or synthetic fragrances. And they’re never tested on animals. 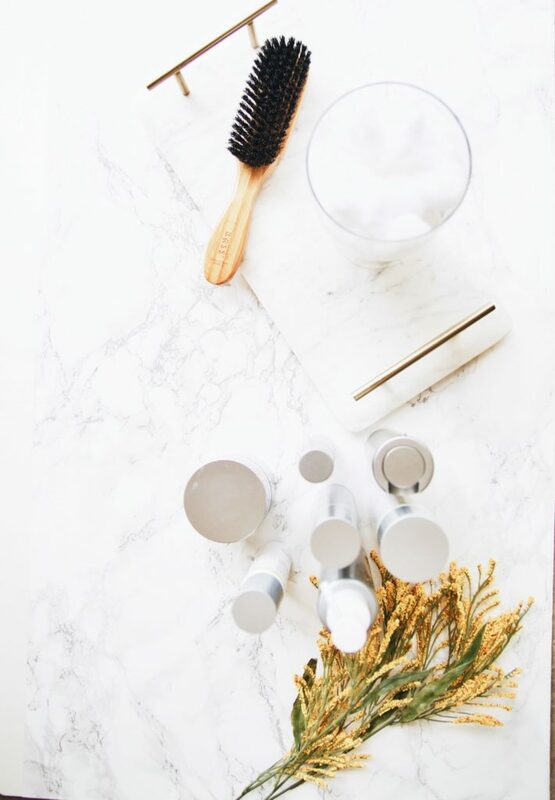 Besides the environmental and health reasons, I have super sensitive skin, so clean beauty is really important to me. And did you know that your body can absorb up to 60% of what is placed on it?! Scary. Another reason I care so much about skincare! I grew up thinking that whatever a dermatologist prescribed (like a harsh ointment) would be the only thing that could prevent or minimize the appearance of wrinkles. Anddd amazingly, several studies show that ingredients farmed organically (hi, Juice Beauty) may have up to a 30% higher antioxidant level than non-organic ingredients. 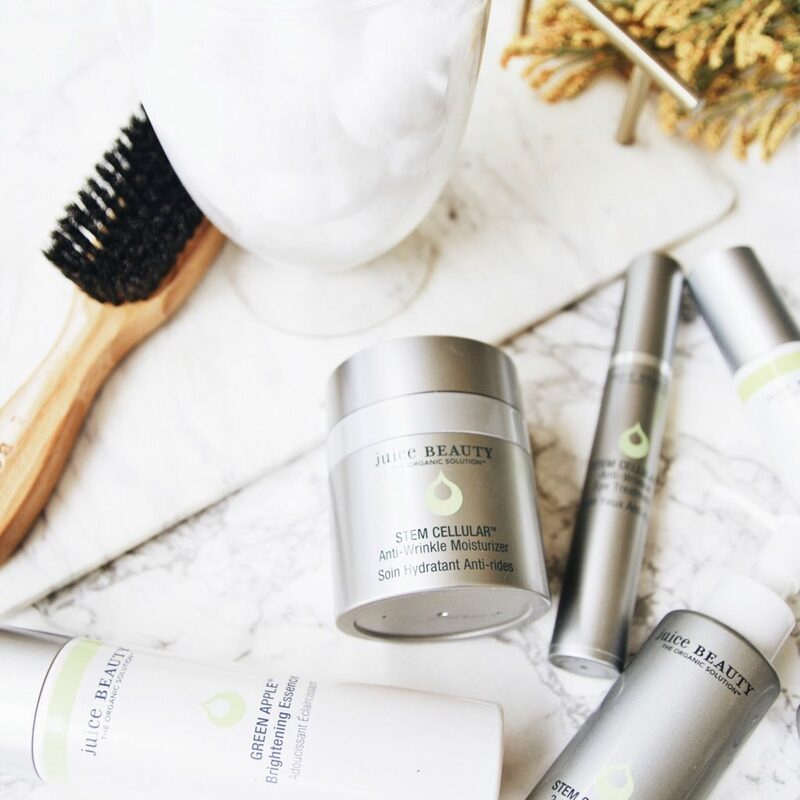 Since Juice Beauty ingredients are organic, they are higher in antioxidants… meaning that they work harder to fight free-radical skincare damage. See ya, wrinkles! Why Are You Using Anti-Aging Products at 25?! The area that has been my main concern is around the eyes (I get crows feet from smiling lol). The skin around the eyes is some of the most sensitive on the face, so I feel really good about using their organic Stem Cellular Anti-Wrinkle Eye Treatment. I notice my makeup goes on much smoother each morning since I’ve been using it! Is the STEM CELLULAR™ Exfoliating Peel Spray. I was a little bit weirded out by an exfoliant that I sprayed on my face, but once I rubbed it off with a washcloth I was amazed with the results! It took off so much dead skin that I could clearly see it on my washcloth (gross I know lol). 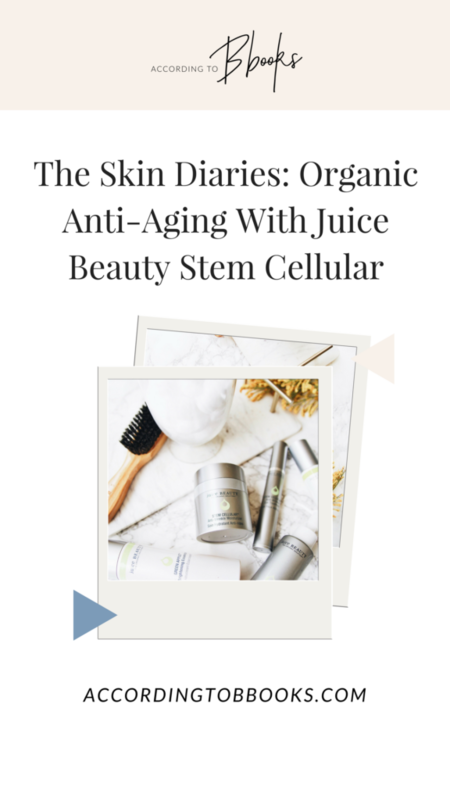 I also love that their whole STEM CELLULAR™ Anti-Wrinkle line has a blend of Vitamin C and fruit stem cells and is infused into an organic grapeseed base (hence the name: “Juice” beauty) and it literally smells AMAZING and so clean. Lastly, their Green Apple Brightening Essence (note: it’s the only product on their GREEN APPLE® product that is designed for sensitive skin…aka me) & Green Apple Emulsion (which I haven’t found to be harsh!). You can buy the two together for a discounted rate here. I hope to incorporate more Juice Beauty and organic skin care products into my skin & makeup routine even further, so this is just the start of something great! When I was in Austin, TX last weekend, one of my girlfriends I went with uses Juice Beauty‘s foundation and other makeup and raved about it, so I’ll have to try that next! Disclaimer & disclosure: This blog post is sponsored by Juice Beauty, but all content and opinions are my own.